"Was that printed on a risograph?" I have two RZ220 units, rescued and refurbished from the San Jose (CA) and Chandler (AZ) school districts. Current ink colors as of June 2018 are BLACK, FEDERAL BLUE, GRASS GREEN, BRIGHT RED, FLUORESCENT PINK and FLUORESCENT ORANGE. The maximum print area is approx. 8.5" x 14" (legal) and the maximum sheet size is approx. 11" x 17" (ledger). The RZ220 prints best on cardstock 80lb or under. 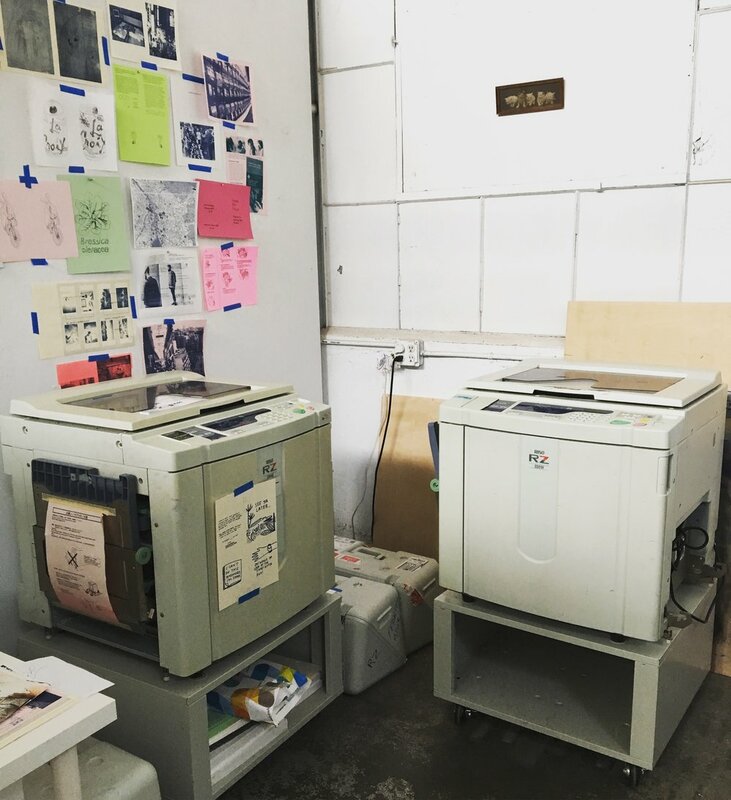 These machines are great for printing zines, small prints and flyers. Send me an email if you have something that needs printing or want to collaborate on a book project. Printing is more fun with friends!